Everyone from Kimye to Politicians use hashtags on Twitter, Instagram and Facebook. Some people even use it in day to day conversations nowadays. #Guilty. I have a love hate relationship with hashtags. When they are used correctly, they add to your content and attract new followers/customers/UFO’s. Used wrongly, and they can be pretty annoying to see. Sometimes you see people typing a 20 character status on Twitter and use the extra 120 characters on hashtags – #wrongwaytousethem! There’s a thin line between tolerated and completely intolerable. So, lucky for all of you, I am here to tell you how to use them effectively to benefit your business or blog. Being a Blogger of almost five years means you get to hear about all of the funny mistakes I’ve made over the years, knowing you will never face the embarrassment of making the mistakes I have. I once posted a picture on Instagram of my cat and used the hashtags “#cutecat” “#CatsofInstagram” and uhm… “#Faceoftheday”. For starters, I had clicked the option to automatically share my Instagram posts to twitter and Facebook and because of this “catsofinstagram” was completely irrelevant on the other platforms. Aside from that, let’s move onto the elephant in the status “Face Of The Day” obviously does not relate whatsoever to my cat picture. I only used it because it was a popular hashtag. I ended up receiving about 5/6 notifications telling me I was using “Click Bait” (where people use catchy titles or hashtags to encourage people to click on the item despite it being irrelevant) and those people unfollowed me. I didn’t even have an excuse for it, I genuinely just wanted more people to see my status. #Fail. Twitter was the originator of the hashtag. Originally, people thought the idea would never catch on but Twitter blatantly have had the last laugh with hashtags being used across all social platforms from Instagram to Facebook and even Pinterest. According to Twitter, using two hasthtags in your status doubles the chances of engagement, meaning you’re more likely to receive a comment, a ‘like’ or even a follow. If you’re really lucky, you might even be retweeted which opens the door to many more people. With that said, using three hashtags actually drops this chance by 17%. Facebook is a hub of hashtags, but personally, I use only one hashtag at the most. For Instagram, people don’t really seem to be too put off by hashtags and I think that’s partly because they don’t look so dominant in statuses – for example, the image is the dominant feature of the post and the hashtags are written in blue making them less prominent than the black you see on Twitter or Facebook. Feel free to go wild with hashtags on Instagram but always keep them relevant. We all know that #fitspiration or #f4f are popular hashtags but they’re no good to you or your visitors unless your image relates to them. If, for example, you are in the beauty industry and are posting an image of lipsticks, then you might opt to use “#beauty #makeup #lipstagram #lipsticks #faceoftheday #pretty #bbloggers” – all of these are relative to the content meaning you’re more likely to get interaction from the people who see your post, such as a ‘like’, ‘comment’ or ‘follow’ (if you’re really lucky, you might even get a regram which is basically Instagram’s version of Retweeting). It’s also a good idea to use your business name as a hashtag to help spread the word about your brand. It’s also a good way to keep track of others talking about your business as it’s likely they will use the hashtag. You needn’t pluck hashtags from thin air or be in the know about which ones work best, you can use online tools which will help you decide which hashtags will work best for you. I use Hashtagify.me for research, and if your business has a local presence, you might want to consider using Trendsmap which is tailored to your preferred location. Aside from that, you may want to try doing your own research. You could try using one hashtag across your social media platforms for one week and see how they perform before trying a different hashtag the following week and so on. This will help tailor your results to your very own business and will make it much more personalised rather than from a wide demographic. Anyone searching for the hashtag on Twitter (using the search feature) will be shown this tweet and any other tweets using the same hashtag. By responding or contributing to the chat, you will definitely see some interaction. I regularly receive around 10 new followers in each hour long chat (and I’m not even the host!). Just be sure to interact with other people by replying to them with a comment, or retweeting people. Be sure to always use the hashtag in your responses so other people can see them too. Just be smart with it – if you have success using a hashtag, be sure to use it as often as you can (just not more than once in one status as we have already discussed). Thanks so much for reading this article! I look forward to returning with more useful information to help your business or brand. The road to success is always paved with pot holes. It can be a bit of a bumpy ride sometimes, but if you know the right roads to take, you can bypass those potholes and have success without the hardship. Take it from me. I learned the hard way! It is very easy to get lost on your way to the end game. I started out my career as a blogger simply reviewing products and begging PR firms to send me products. I did not realise that no one wants to read posts from someone bragging about how much free loot they managed to bag, not to mention that no one would even find that post. Turns out simply writing content and putting it online doesn’t mean it will automatically go viral if you don’t promote it (see our post on the best ways to share content here). As time went by, I soon learned how to perfect my blogging technique. Here are my Top Tips for Blogging Success to make your journey a little bit easier. Deciding which blogging platform to use can be tricky. However, it is an important decision to make! Changing your mind once you have established your blog can be very tricky and highly time consuming. There are two preferred platforms that bloggers use: WordPress and Blogger. WordPress is a platform designed for more advanced users who may have experience in using plugins and HTML. The platform allows users to add more features into their blog and to incorporate downloadable features. WordPress itself is free to use, however you may need to buy a hosting package if you’d like a custom domain (Hostgator is popular amongst bloggers). Many of the plugins and templates are free to download and use, but there are premium paid for versions that provide more options. Blogger on the other hand is a completely free platform which hosts your blog. The platform is open source and allows new users to design their blog at just the click of a few buttons. To add to this, the simple to use platform is also owned by Google which means it’s not going anywhere anytime soon. To summarise, if you know your way around the web and are pretty good with coding and would like customizable options, then WordPress could be the option for you. If you’re new to blogging or web design as a whole, and have limited to no budget, and prefer a more turn-key option then Blogger is likely to be your preferred option. Timing your blog posts to publish on a specific day and time can prove to be successful with your visitors. Us humans are creatures of habit and so letting your visitors know that you will be posting new content on a certain day or time will encourage regular visitors to return at that time. Timing your blog posts also helps you to target different time zones. For example, if you have a business in New York but think people in the UK will be interested in your content, then there’s a five hour time difference to take into consideration. Scheduling your blog post at 2pm UK time (9am New York) will mean New Yorkers will wake up to read it before work or whilst commuting, whereas the Brits will read it in either their lunch or coffee breaks. Scheduling is available on both WordPress and Blogger. Whether you’re a fashion blogger or a holistic therapist letting your visitors know about what you have to offer, it’s important you choose the right topics to not only attract new visitors but to keep those visitors on your blog. Writing controversial posts may bring in a few visitors but in terms of gaining credibility for your business, it certainly won’t do much good. Many bloggers write about topics that answer a question. This provides information for your visitors and encourages them to browse around the rest of your blog. For example, if you have a Holistic Therapy business, try writing about the benefits of holistic therapy in comparison to other methods, or perhaps a blog post highlighting a specific ailment that holistic therapy has successfully treated. These areas are fairly non controversial and will provide useful information to those reading. By veering off topic, your visitors will become confused as to what your blog is actually about. Keeping your blog simple and easy to navigate through is just as important as having any content at all. Ever visited a successful website that was full of graphics and a loud background with obnoxious writing? No, that’s because users don’t find a ‘busy’ blog, a ‘friendly’ website. Many Bloggers choose to stick to a white background and accentuate it with one or two colours in the navigation or sidebar and banner. Every blog has a decent amount of photography which in itself adds colour to the blog. In terms of photography, ensure you make your photo’s large and clear without being overly edited. Don’t stretch the photos or you risk significantly reducing the picture quality. Aside from that, whether you choose to use a big fancy camera or a cell phone camera, your photo’s will be one of the main attractions of your blog. Promotion is key to blogging success which is something we have talked about previously here on Purely Social Media. Many people leave out promoting their content on social media or tweet about it once and think ‘that’ll do’, however the truth is that your blog will never reach the masses unless you shove it in people’s faces and let them know it exists. Twitter, Facebook and Instagram are three of the most popular social media platforms amongst bloggers and all can be managed using different platforms such as Hootsuite or Buffer where you can schedule your social media updates in advance. Scheduling your social media updates means you can take the time to carefully plan what you wish to say in your status and creating links to be included. A good job is never a hurried one! The value of social media to your blog or business is invaluable. All it takes is for someone popular to retweet something you’ve said and it can receive thousands of visitors overnight. For those of us who are not quite fortunate enough to have famous fans, social media is vital whether you have twenty or twenty thousand followers. One more person seeing your content is one more than you had before. Finally for social media, it’s important to use your platforms to interact with your followers/visitors. Whether you have a blog or a shop, it’s useful for helping with any issues or customer services. If you interact with your followers, you gain trust in your website and business which will encourage returning visitors and customers. Hi everyone! It’s Holly here. I’m back once again to let you know a few tips I’ve picked up on sharing your blog content across the web so that even superstars like Johnny Depp can find it… A girl can only dream! As we all have learned by now, blogging and content sharing go hand in hand. While having great content on your blog is definitely important, sharing that content is equally vital. Imagine hosting a dinner party full of celebrities and forgetting to hand out the invitations. The dinner party has everything you could need to make it incredible, but no-one attends because you haven’t shared the information (or handed out the invitations). Blogging is no different. You could have an interview with Princess Kate Middleton on your blog where she gives you the inside scoop on her outfits for next season but if you forget to tell anyone that the interview exists, then no-one is going to look at it which is why sharing your content across the right platforms, using the right strategy and format is vital in making your content popular. Poor Kate..
Every time an actor stars in a new movie, you will see they are working the media circuit by appearing on chat shows and doing magazine shoots. This is because throughout these appearances, they are promoting their new releases to let the world know it exists. Celebrities are clever little creatures aren’t they? Well you can be equally as clever. Sharing blog content is a little bit different from appearing on chat shows, but it’s not necessarily hard to do. So how can you share your content like the pros? Here, we take a look at different methods on how and where to share your content. 1 – Automatically share your content. It is also worth using programs such as Hootsuite and Buffer to schedule tweets to promote your posts at a later time to ensure you cover different worldwide time zones. When you go to sleep in the US & Canada, people in the UK are just waking up! Covering different time zones will give more people the chance to see your content. 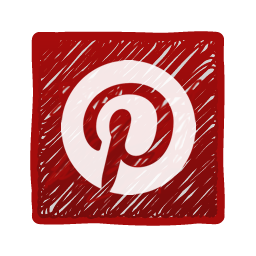 Have you ever been on a blog and noticed the blogger has their social icons and a “share this” link at the bottom of every post? Well that’s because they’re pretty savvy when it comes to sharing their content. That blogger is encouraging their readers to share their content for them meaning more people see it across different platforms. You could do your blog a huge favour by adding one of these social bars to your blog. Blogger offers an ‘add on’ for free and WordPress also have several plugins for this such as “Ultimate Social Media Icons” which will make things much simpler for you to implement. 3 – Use The Blogging Community! By adding this kind of comment, you have asked a question (meaning the person is more likely to visit your blog to reply) and you’ve made the comment personal to the content proving that you’re not just looking to drop your link. Join Twitter Chats! Every day different twitter chats are ongoing using different hashtags such as #lbloggers #fbloggers #bdib and #bbloggers. Hundreds of bloggers (and brands) join in these chats and talk to other bloggers and share each others content to their followers. Joining a chat is really simple and anyone can do it. Just search on Twitter for one of the hashtags to see when a chat is live. You’ll be surprised at how many visitors you receive and also by how many blogger friends you will make! Again, something else that has been touched on previously is competitions. Running your own competition on your blog is a fantastic way to share your content and encourage visitors. You don’t need a huge budget to run a competition, anything from a gift to a voucher works well and is welcomed with open arms on social media. In fact, it’s a visitor gold mine. If for example you have a $20 voucher to give away, then write a post about the voucher on your blog and share it on social media encouraging your followers to “follow” and “retweet” your content. This method will literally have your content seen by thousands of users which will encourage more people to follow your blog. If you run a competition once per month, as an example. You are likely to see a decent increase in visitors and content sharing. Waiting for your new blog post to be picked up by the search engines can have you waiting for months on end. If you want Google, Bing and other search engines to pick up your content quickly, it might be worthwhile manually submitting your content. It’s really quick and easy to do and if you add the Bing and Google submission tools to your favourites as part of your blogging routine, it will quickly become something you automatically do. Search engines might still take some time to rank your content using this method but it is definitely worth trying out. To summarise, sharing your content is probably equally as important as creating good content. Using word of mouth is great for telling people when a new shop has opened in your area, or to let people know that there’s a new yoga class opening but not so effective for letting people at the opposite side of the country (or even the world) know about your latest blog post, which is why these methods for sharing your content are so important. So recently while working on a project a colleague of ours kept referring to this acronym K.I.S.S. (Keep it simple & sweet) and it struck a cord. We thought it wise to write a blog article on this acronym and how we believe it relates to social media. First and foremost, time and time again we see businesses over-think and over-complicate their social media efforts. Keep in mind that social media is intended to be fun and a virtual space to engage with others, that’s it! If you make a sale or gain a new customer through social media that’s fantastic, but if that is the primary focus of your social efforts you’re going to seriously struggle. People are tired of being marketed to and they certainly don’t want you doing it on their social accounts, so when it comes to marketing your business on social media it’s best to get creative but keep it simple! What makes your business unique? Why do your customer’s choose to do business with you? It’s worth it to take some time to survey your current customer base and ask they what it is about your business that gets them to continue to do business with you. The value that you think you bring to your customers and they value they perceive you bring are most likely quite different. What is your overall company culture and can it support a social media presence? Is your business flexible enough to make the necessary and timely changes that social media often calls for? Are you open to listening to others, building relationships and engaging with your potential customers? To be successful on social media you need to remove your brand’s ego and be open to and genuinely interested in learning about others. Observe what is happening in your space and then dive right into the conversation. If you plan to have multiple people within your organization participate in your social media, take the time to create some guideline and rules of conduct to avoid avoidable hiccups. What platforms are right for you? We’ve said it before and we will say it again you do not need to be on every platform at all times. It is best to take each platform one at a time and build a strong presence. Keep in mind that not everyone is on every platform so do your homework. Where are your customers and where is your competition? What will be your source of rich content? This question will be simple to answer if you’ve taken the time to really answer the previous questions. Blogs, podcasts and videos are all great sources of rich content. Determine how you can enrich and enhance old and existing content. Update older blogs, convert a blog into an infographic or short video. There are lots of inexpensive and free tools available to help business owners create unique and interesting content. The final and most important question is “What does success on social media look like for you and your business?” It’s best to get a few of the key individuals in your organization to contribute their thoughts on this topic as well. It’s best to set goals and define success so you can know when you’ve achieved it and set new ones. Just remember that social media success takes time and patients, trial and error, so be consistent and clear with your efforts. Once you’ve taken the time to answer these questions now it’s time to create a plan. This is actually the first step we take with all of our clients. Create a plan of action. The number one issue with social media is that business can begin to feel overwhelmed with content creation and posting when there is no plan in place. Once you’ve done a little investigation into your competition and have determined what your source of unique rich content will be map out your week. For example, Facebook is not a platform that requires you to post everyday multiple times a day, but Twitter, on the other hand, requires multiple posts throughout the day and a higher level of engagement. Map out your week and be sure to include weekend posts. Even though you’re on these platforms for business purposes most of your followers and customers are there for entertainment and interactions. People are consuming content on their commutes to and from work, on their lunch breaks, in the evenings and on the weekends during their down times. Post your content to be visible when the most amount of eyes are available. If you choose to post on LinkedIn consider posting between 6:30am and 7:30am or after 6pm. Writing a blog? Research shows that Monday’s at 11am is the best time to post; however, we have found that Tuesdays and Thursdays at 11am are best for us. Keep in mind that you do not want to post the exact same content on the same day to multiple platforms so consider having 2 categories per day or re purposing old content. Another thing you can try is creating two images and two versions on copy for the same piece on content. But no one wants to see the exact same thing you posted on Facebook on Google+ 15 minutes later. The most important thing is to have fun with it. Think of social media as your bridge between Public Relations and Marketing in real time. It allows you the opportunity to engage and communicate your brand in real time. 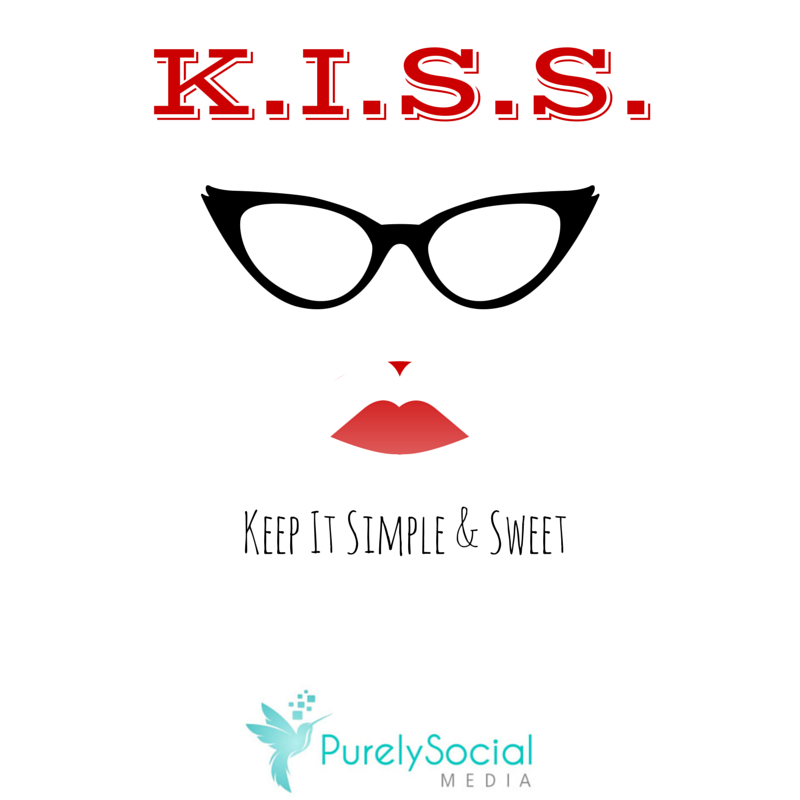 Keep it simple, make it fun and be authentic and you’ll soon find your social media success! 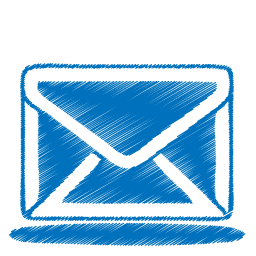 If you find yourself struggling, shoot us an email. We’d be more than happy to give you a few pointers to put you in the right direction. In the meantime, share this article with fellow professionals and small business owners who you think may be interested and let us know what you think! We love chatting on Twitter or in the comments below! Believe it or not, Twitter is not all about the tweets. There is so much else that goes on that is equally as important if not more important. In order to capitalize on your Twitter presence to make your account the most effective, there are a few things you should keep in mind. Your business Twitter account is a direct reflection of your business. 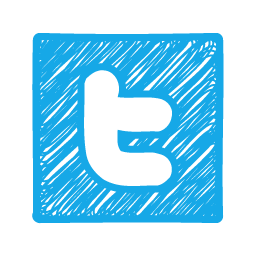 You go on Twitter to create a virtual representation of your business and your Twitter handle should be just that. Don’t get too creative. I know it’s hard with all of these wacky twitter handles out there. We won’t call anyone out, but you’ve seen them, too so you know. Keep it SIMPLE. Try to get as close to the name of your business as possible so you’ll be easy to find and easy to remember. Sometimes, due to the 230 million users on Twitter, there will be a case where the first name you choose is taken. For example, our first choice for our Twitter handle was @PurelySocial (for obvious reasons), but unfortunately, that name was already taken. As a result, we had to get a little creative and @PurelySocialTip was born. It’s easy to remember, still represents our company and tells a little about what we do. If you’re a local business, an easy solution for you may be to add the name of your town or your state abbreviation to the handle. A descriptive bio is a must have for a serious Twitter user. As a small business, your bio should tell your audience who you are, what you do, and what your goals are in 160 characters or less. Keywords that are relevant to your business are imperative to include. If you include keywords in your bio, your page will appear in searches of that keyword. For example, if you’re an artist who specializes in oil on canvas paintings for sale in Vermont. Your bio may be something like: “Local Vermont art boutique specializing in oil on canvas paintings for sale.” This way, when someone searches “Vermont art” or “oil on canvas” or “oil paintings,” because these words are included in your bio, your profile will show up as a search result and BOOM! Another follower. A crappy bio is just a waste. It decreases your reach and turns away followers who may be looking for you. A new feature on Twitter’s most recent update allows users to pin any tweet at the top of their profile to promote that particular tweet at no additional cost. This is a goldmine for business owners. It acts as a billboard on your page allowing you to draw extra attention to any tweet you want. This is perfect to promote new events, new products, blog posts, sales,… possibilities are endless. Coupled with the real estate that images are given when posted to Twitter, you’ve struck gold; you have another marketing tool in your tool belt that is completely free. A wise way to use the pinned tweet feature is to include an image that is relevant to whatever it is that you are featuring, a link back to your site, and a small description filled with keywords and a hashtag. With that combination, you can’t lose. Missing out on it would just be careless. Your profile picture on Twitter should be representative of your business. There’s a little discension on marketers in reference to whether it’s better to use your brand logo or a picture of the owners, but we think either one is fine. As long as you don’t leave the photo as the default egg picture, or post a completely random picture of something completely unrelated, you’re good in our book. The worst thing you could do is leave it as the default picture. If you do leave it as the default, you may be mistaken for spam and people will be reluctant to follow you, or you may give the impression that you don’t know/care about what you’re doing . A Header and your background is prime real estate to present your company to your followers. It should be a visual representation of your company and your brand. If you have a logo, this is the perfect opportunity to brand your page with it. It’salso an opportunity to add a tagline, be colorful, and show the personality behind your business. Make it fun. If you don’t have a logo, no worries. Canva is a great resource to help you design a header for your Twitter account (and others). It even has a premeasured design template for you to use that is perfectly adjusted to the Twitter header size. That’s where we made ours! E; especially if you’re a startup or low-budget company who doesn’t have too much to allocate to the marketing budget! Try it and, as always, let us know your thoughts! As a business owner, you’re constantly being told that building meaningful relationships with your customers is a key component of the success of your business. You hear all the time how you need to get on social media networks and get active. We, here at Purely Social, have been giving you tips for weeks on how to get started on Twitter, Pinterest, Linkedin, and Instagram ( you can find the links to those articles by clicking on their titles), but we haven’t really touched on what to do after you get started. Getting started on social media is only half the battle. Once you do get started, continuing and maintaining a consistent flow is the other half. As a business owner, your main concern is running your business. This may mean making necessary phone calls, taking inventory, placing orders, answering correspondence, maintain accounts… the list goes on. 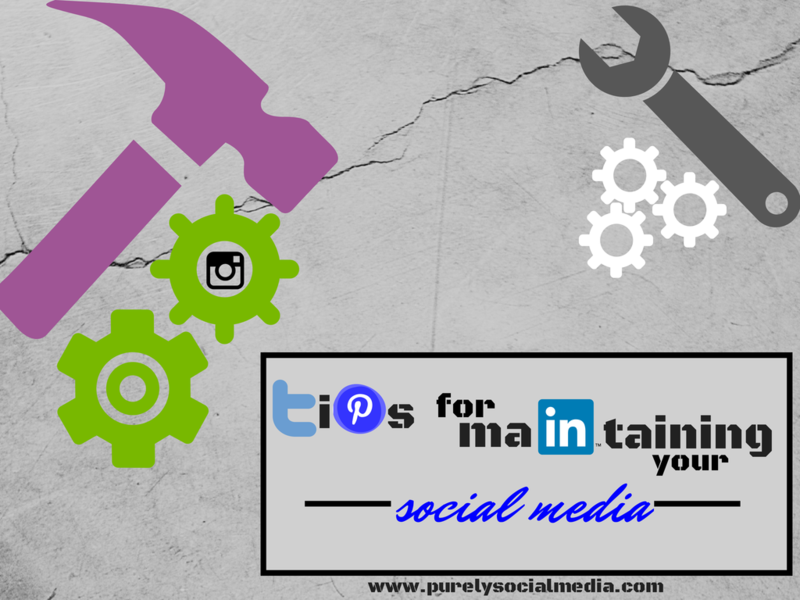 For a lot of you, maintaining your social media is the last thing on your mind when it comes to running your business. Even though you acknowledge that it is vital to the success of your business, you may simply not know how to integrate it into your daily routine. As a result, you may not have as consistent of a presence on social media as you’d like to. You post on your Twitter account once a week, your Facebook account once a month, and started Pinterest , Instagram, and Linkedin accounts that you haven’t even touched. This is no way to achieve a successful social media presence. If your goal in social media marketing is to gain a social media presence to grow your business, you need to keep yourself in check. Conduct a monthly analysis of the best times to post on your social media accounts. As your following grows, your best times to reach your fans will change. Tools such as Tweriod keep you up to date on when the best times to tweet on Twitter are. This article helps with figuring out which times to post on Facebook, and Iconosquare is perfect for learning the best time to post on Instagram. Once you have these best times to post, you can focus your energy into those time periods. Contrary to popular belief, you don’t need to be clogging feeds all day every day to be successful. If your target audience is not online, then you’re burning energy that could be directed elsewhere. Once you have those best times to post, you can just put those times into your scheduling tool (we use Buffer and Sprout Social). Consider composing a content calendar to help ease the pressure of coming up with content every single day. We have a whole series dedicated to best practices when putting together a content calendar. Make it a point during the day each day to check out what’s going on in your feed. You don’t have to sit there and stare at it, because you obviously don’t have time for that, but if you designate 3 times each day to take 20 minutes to scroll through your feed, engaging will be a pinch. At breakfast or while you get dressed, you can catch what happened the night before and converse with the early risers; at lunch, you can scroll through will eating and catch what happened in the morning, and before bed you can catch anything that took place in between. Keep track of your progress. It’s as simple as recording your number of followers each week and tracking your analytics on whichever tool you choose to use. How will this keep you consistent? Well, it will help you monitor your growth and make you stay on track. For example, if you know you gain 30 followers weekly on average and one week you only gain 10, you know that you need to step up your game. Also, by keeping track of your progress, you remain an active part of your social media marketing strategy. Rather than just marketing blindly, you can check whether or not what you’re doing is working and make necessary changes immediately. In maintaining a social media presence consistency is almost as key as content. You can have spot on content, but if you post infrequently at random times, then it’s pointless. It’s important to achieve a rhythm and once you achieve that rhythm, it’s important to keep with it. If you fall out of rhythm, you end up having to do the work all over again which hinders growth. Tell us what methods you use to stay consistent, or what obstacles you’ve come across in trying to stay consistent.Do you agree with the 5 methods we’ve shared? We want to hear from you! Talk to us in the comments below, email us, or @ us on Twitter. We look forward to hearing from you all!